During our trip to England, I got a chance to do some follow-up research on one of my life goals: to own a piece of cauliflowerware and/or pineappleware, which I first encountered in one of my minor courses last year. I know: aim high. 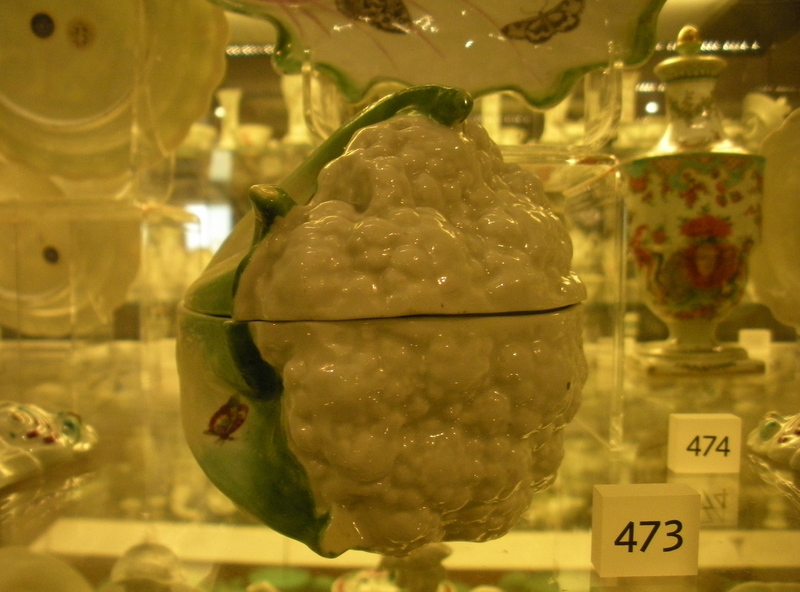 Cauliflower tureen, about 1760-1765 (Ashmolean Museum). I prefer the teapots, but this tureen has an appeal of its own. I like how they apparently tried to make it a little classier with the addition of butterflies. It’s a little too cute for me. 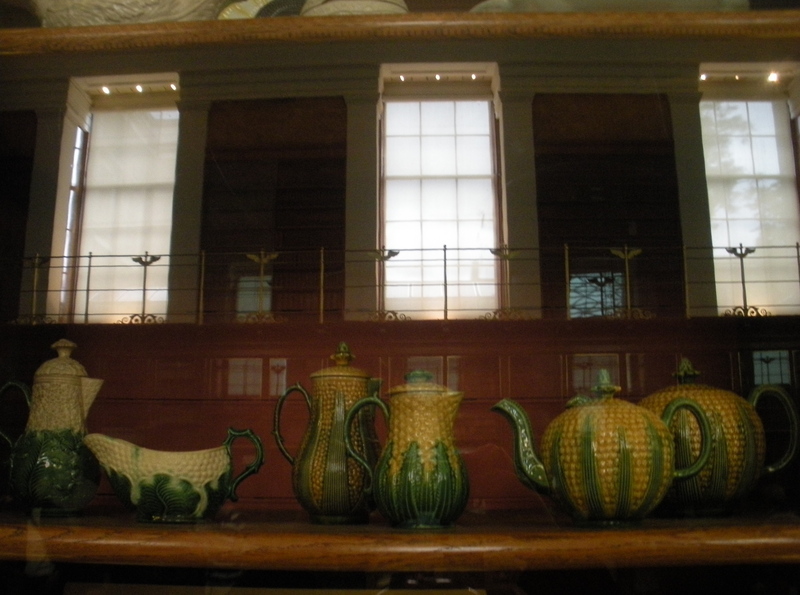 No so cutesy: cauliflowerware and pineappleware in the British Museum (also probably ca. 1765, school of Thomas Whieldon). These are the emblematic pieces of a short-lived craze for naturalistic serving wares. This picture doesn’t really capture the surface detail and colors of the pieces— they’re almost grotesque in real life. The popularity of these items subsided within the decade; basically, these were the Beanie Babies of the 1760’s. Potteries like Whieldon’s shipped the resulting surplus across the Atlantic to the captive audience of the Colonies, where the fad enjoyed a brief revival. 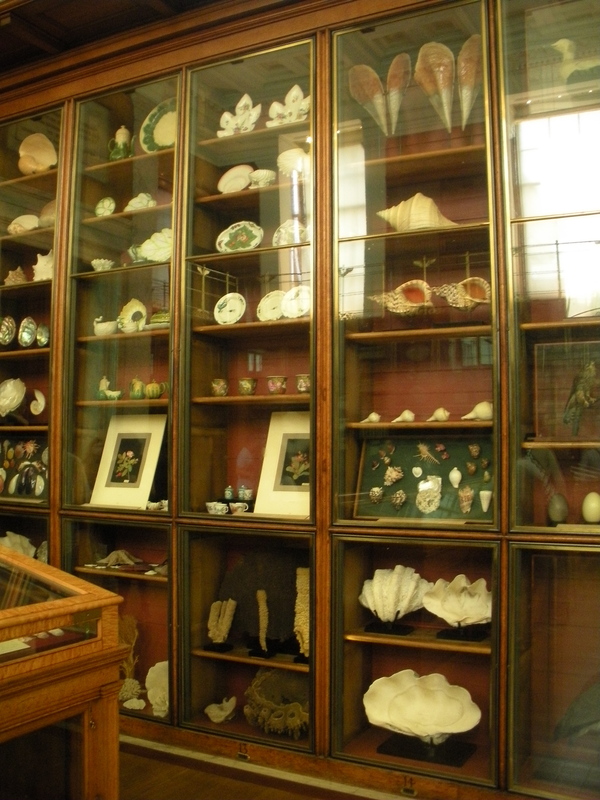 A curiosity cabinet in the British Museum, containing teapots and tureens as well as some Sloaniana — items from the foundational collection of Sir Hans Sloane, who bequeathed his antiquities, manuscripts, and vegetable lamb to George II so that they could become the property of the British people, and so that people like me could continue to enjoy the truly bizarre experience of facing down a room filled with shells, framed papercuts, stuffed birds, teapots, and a rock that apparently looks like Chaucer. I saw the rock. I still don’t have any idea if it looks like Chaucer. wow. way to make an /a knight’s tale/ reference, ricky. although, i think it might be worse that i actually got the reference. trackbacks to the vegetable lamb drawing never fail to make me laugh! !